I've been searching for this issue forever, and finally found this at the NYC 2016 stamp show! I've always loved the large-format punchy coloured isolated Roman sculpture on this issue. This is from a set of four, plus one s/s. The envelope is marked 'printed' (not shown) I am assuming this meant 'printed paper'. Were the rates different for paper vs non-paper enclosures? 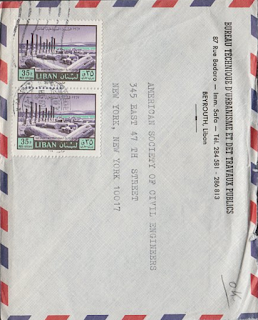 Issue date: March 20 1968. 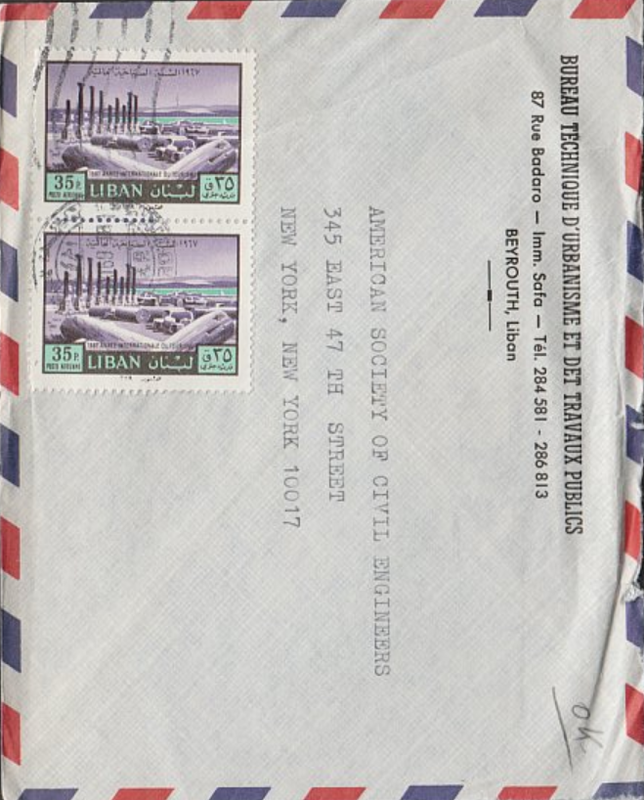 Trye airmail stamps from the 1967 International Year of Tourism 8v. These pillars might be the remains of the colonnaded road?